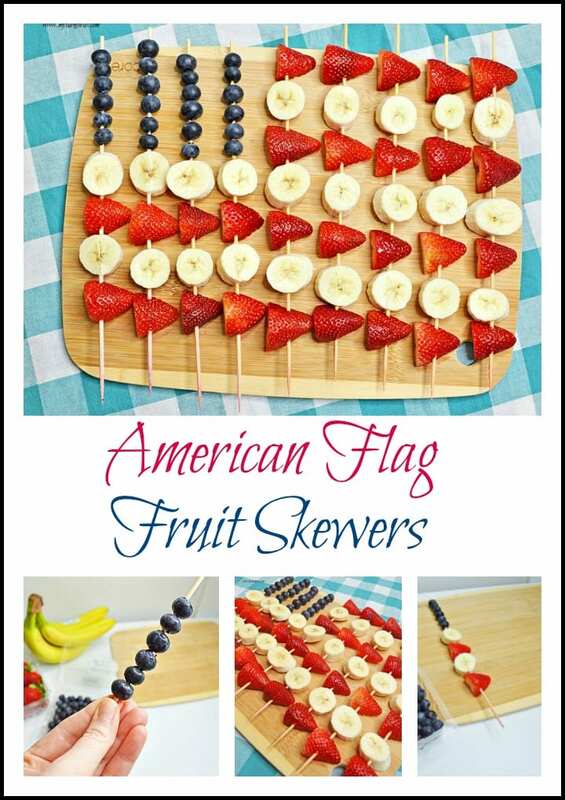 It’s always fun to serve food with a holiday twist like these American Flag Fruit Skewers. I enjoy entertaining and even when we don’t have guests, I love to serve foodies with a unique presentation. 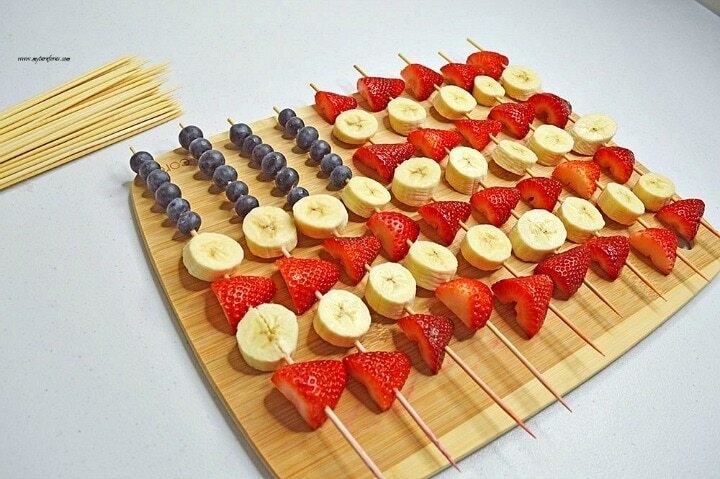 I have been seeing all the different Flag fruit skewers everywhere and decided to try it for the Fourth of July. 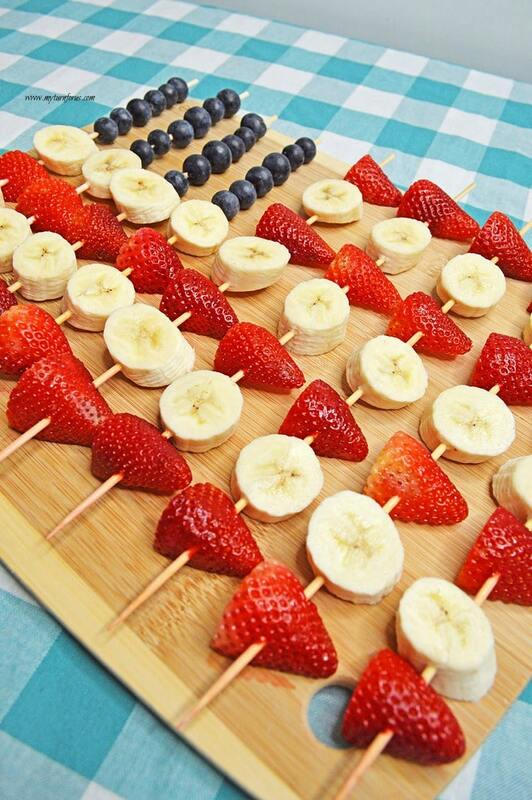 These cute little American Flag Fruit Skewers have only three ingredients, bananas, strawberries and blueberries. And of course, you will need some wooden skewers. 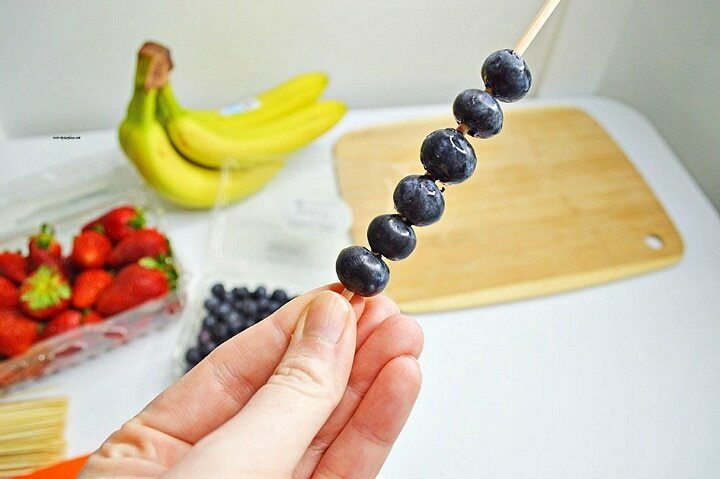 Start off by threading 6 little blueberries on one of the skewers. 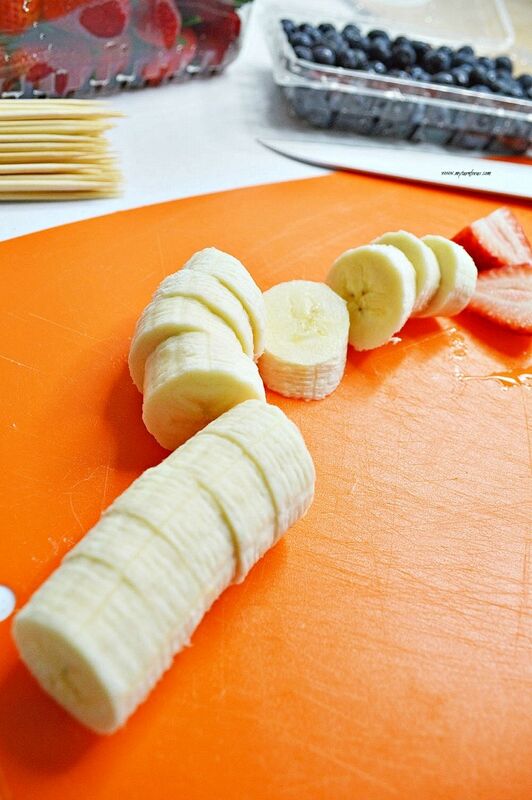 Slice the bananas into 3/4 inch slices. 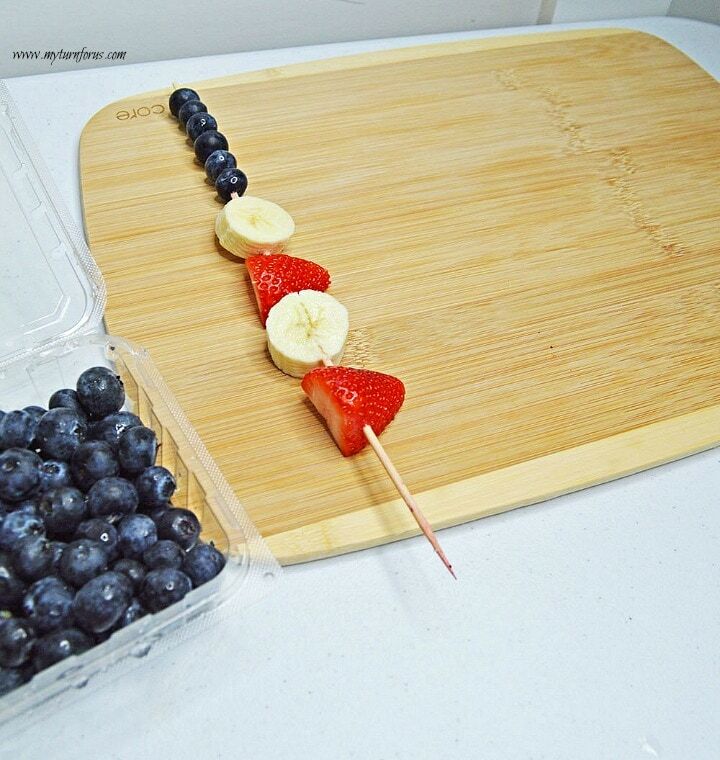 Start the American Flag by adding banana slices and Strawberry halves to the skewers with the blueberries. 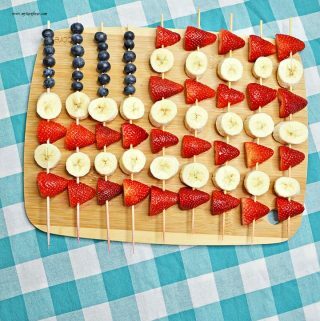 Continue threading the strawberry and bananas slices on the skewers to complete the Amerian Flag. 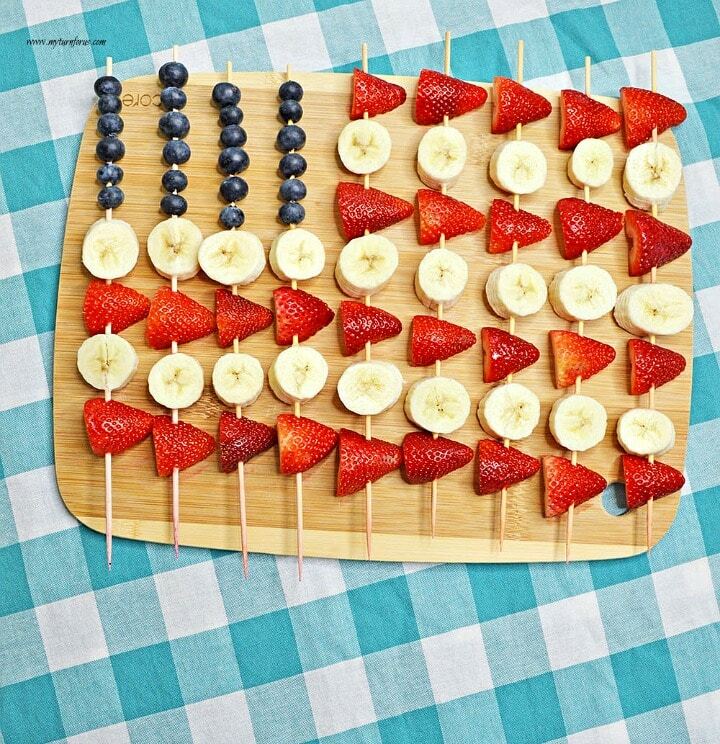 Love all this fruit that makes our super cute food craft American Flag Skewers. These super cute American Flag Skewers are perfect for Memorial Day, Flag Day and 4th of July! 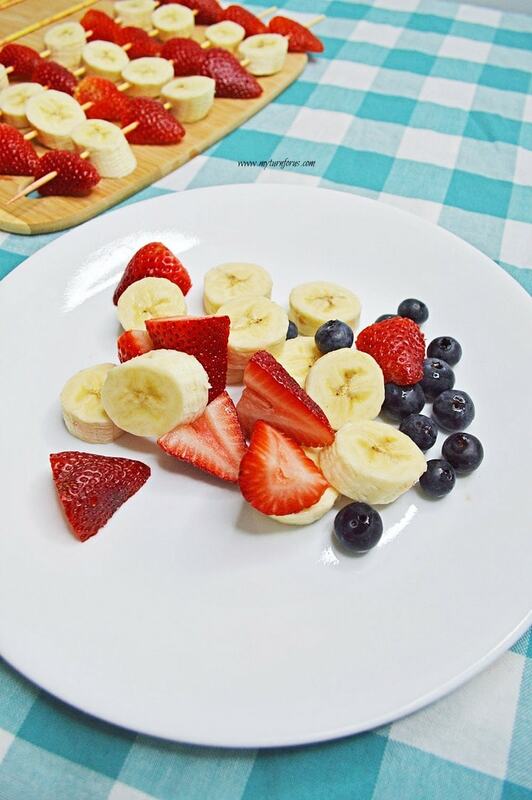 And these super cute fruit kabobs will make the perfect side dish for any celebration. 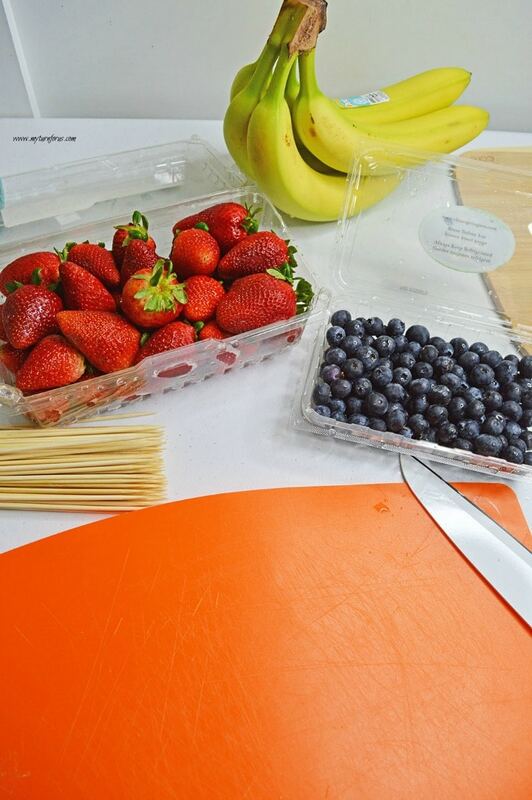 Slice the bananas into 3/4 inch slices, stem and cut strawberries in half lengthwise. Thread 6 blueberries on a skewer, followed by a banana slice, strawberry half, banana slice and finishing up with a strawberry half. Repeat this for the next three skewers (total of four). Wow Evelyn,these is a lovely and tasty idea! Thanks for sharing it my friend! Love this! This is what we'll be doing for the 4th! This is awesome! I think I will try this out! That would make the perfect addition to any 4th of July picnic! How clever. I love it and so healthy too! Thanks for bringing these by Saturday Dishes, Evelyn. Great picture. LOVE this, Evelyn!!!! Pinned 😉 Thanks for sharing! So cute! 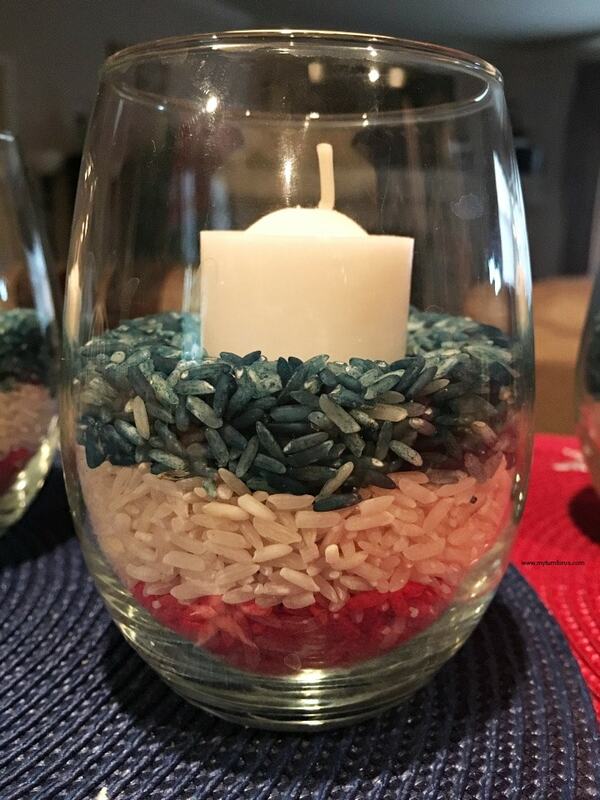 These would be really fun to make with the kids for our July 4th party. Thanks for sharing. Super cute idea!! The American flag is so much easier to recreate than our Canadian flag, LOL. Thanks for sharing with Simple Supper Tuesday. Hi, I love this idea! You did a great job, it looks so nice. I saw it on tuesday trivia. This is so fun and clever, puts me in the party mood. Thanks for sharing on Tuesday Trivia. Be sure and check back Friday Features. How was your trip last week? Evelyn, these are AWESOME!!! I love how fresh, bright and patriotic this looks! Such a fabulous idea. 🙂 Thanks for sharing with us! i always say i'm going to try this! maybe next year, since we'll be on vacation this year. Anyway, I love this idea! It's so simple and patriotic. This is definitely going on my 4th of July party list. How stinkin' adorable! I can't wait to see what else you share for the #FlavorsOfSummer #VirtualPicnic! So clever! I love it! Thank you for spreading JOY and sharing at the Oh What a HAPPY Day party. This is to fun and just to cute. Thanks for sharing with us at Thursdays Favorite Things Blog Hop. Come visit again when you can. So fun and festive! Thanks for sharing at Katherine's Corner where I'm party co-host today! This makes a big impact on the table for no effort at all! Cute and fun. Thank you for linking, my friend! These are so cute, Evelyn! Perfect for the 4th! Hope you have a wonderful weekend! I am all about healthy foods for the 4th that are still patriotic! Love, love, love this recipe! Love the pretty presentation and love the simplicity of the recipe! Thank you for sharing with Foodie Friends Friday. I will be sharing on my Walking on Sunshine FB page today! This is so pretty! Thanks for sharing on Foodie Friends Friday. How fun! I'm another who loves to "party up" even when there aren't guests — family deserves special treatment, too! Thanks so much for sharing on Busy Monday! GOOD Morning!! I love this for the 4th! I've featured YOU at Tuesdays with a Twist today. Thanks so much for sharing. Looking forward to seeing what you share this week! Thanks for linking it up to Super Sunday at Who Needs a Cape! Your project is featured today on The Pin Junkie! Happy 4th of July! 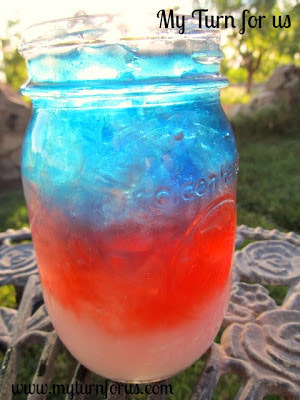 I love this for the 4th of July just around the corner!! I can't wait to try these. Hopefully I will be in Texas at my daughter's house watching fireworks and playing with the grand kids! !